You are at:Home»Lifestyle»Travel»It’s all go-go-go in Goa! It’s all go-go-go in Goa! Goa, the smallest state in India, is pure holiday heaven. Perched on the west coast of India with the jewel of the Arabian Sea as its playground, there is no end of things to do here. If beach holidays in exotic locations are what you’re after, you can’t go wrong here. How to get there: It will take a couple of hops across the globe to reach your destination but it will be well worth the trip. PriceCheck will help you find the cheapest flights to paradise by comparing flight prices across the airlines. Hang out at Calangute Beach. 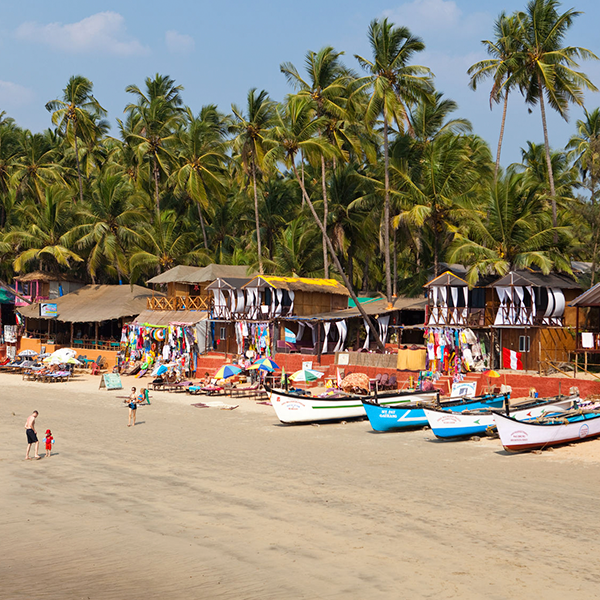 This is the queen of all beaches in seductive Goa and is lined with restaurants, cafes and outlets where you can rent sunbeds to recline on in between frolicking in and on the ocean. There are countless things for adventure seekers to do here – paragliding, windsurfing and water skiing are all available. And afterwards you can relax in one of the beach restaurants with a cocktail and a plate of fine local cuisine. Dive at Grande Island. You will find this 45 km from Calangute Beach, and it’s the perfect place to do some scuba diving or snorkelling. Marine life abounds in the warm waters of the Arabian Sea – look out for lion fish, goat fish and moray eels among the schools of colourful swimmers. You can also join a diving school if you prefer to explore the depths in a group. Explore the Arunja fleamarket. It’s open every Wednesday and is the place to go if you want to shop for jewellery, clothes, shawls and bric-a-brac. Made famous by hippies in the 60s – Goa was a hippie haven in the flower-power era – and foreigners flocked to the town to peddle their wares. These days there are fewer hippies and more local people selling their goods. Don’t miss it. Bath with elephants. Your holiday won’t be complete without a trip to one of the wildlife sanctuaries in Goa – and most of them afford the chance of getting wet with elephants. The Tropical Spice Plantation is one such place: after a tour of the area, watch as these magnificent creatures bath in the cool streams, then hop on the back of one and let him splash you with his trunk. It’s an experience of a lifetime! Marvel at the Dudhsagar Falls. These are India’s second-largest falls and a good hour and a half from Goa but well worth the trip. A Jeep will take you through shallow waters and green fields to the very top of the falls, where you’ll be mesmerised by the tumbling water. You’ll also be able to cool in one of the cool streams in the area. Stay in a beach shack. 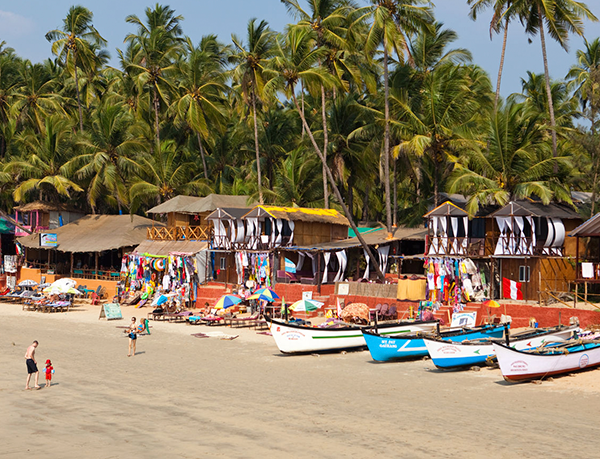 For a true seaside holiday, hire one of the many beach shacks dotted on the Goa shore. Just try to book one a little way away from the real hustle and bustle of the town – you want to relax as well as party, right? !